Jimmie Scott and her husband, Benjamin, are beyond grateful for the support they have received from the Food Bank of Delaware. The Frederica residents are senior citizens, coping with issues that face many in their age group: their income is very limited and they have serious health issues. Mrs. Scott is disabled, her husband retired with a small Social Security check, and their godson, Hassan, moved in with them. His presence has been a godsend to them, Mrs. Scott said. Their situation became extremely challenging last winter when they had no food in the house, and they lost electricity. 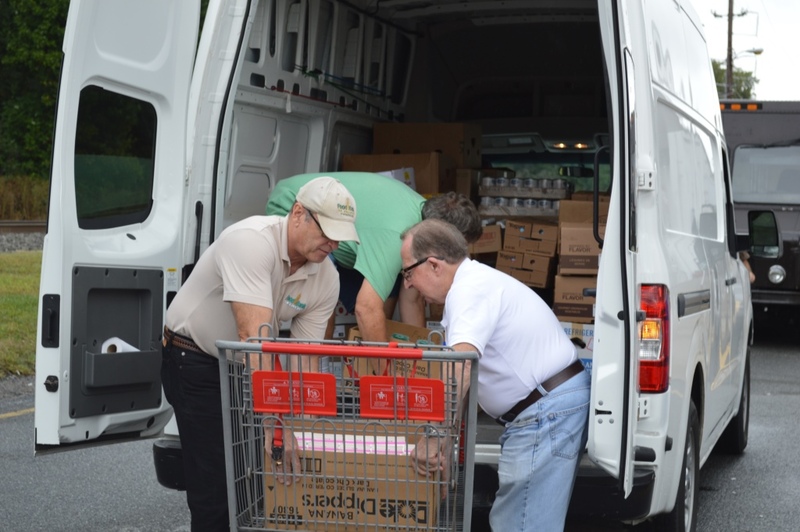 The Scotts found help from the Calvary Assembly of God in Dover, one of the Food Bank of Delaware’s more than 600 community partners in food distribution. “If it hadn’t been for them, I don’t know where we would have been,” said Mrs. Scott during a phone interview. Through their eligibility for assistance, one thing led to another, and in the spring the Scotts signed up for the discounted ($20) Community Supported Agriculture (CSA) program through the Food Bank of Delaware. So from mid-June to Oct. 1, the Scotts had access to fresh fruits and vegetables. They picked up a box of seasonally fresh produce each Wednesday at the Milford branch. Traditionally, CSA members invested in a farm during the winter and collected their produce shares weekly in the summer. 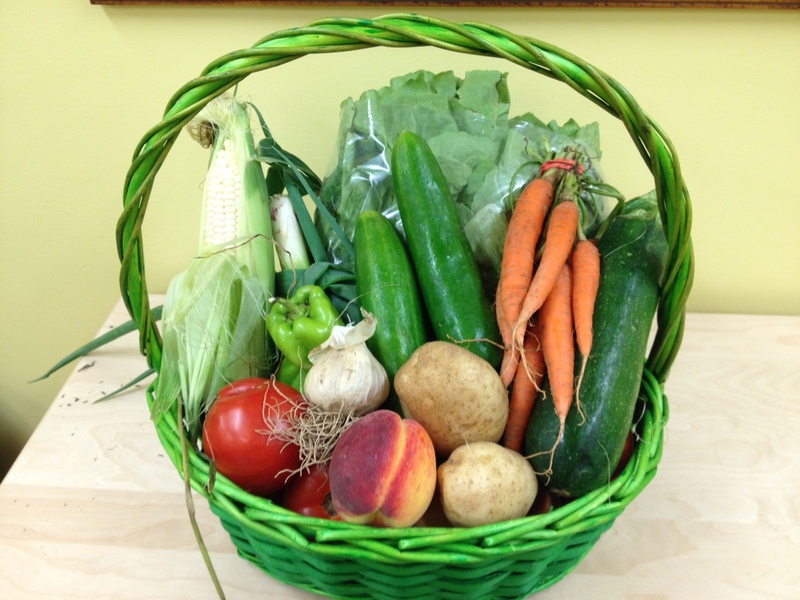 The Food Bank of Delaware uses a modified CSA model to distribute fresh, locally-grown produce to everyone, regardless of income. The contents of the package vary from week to week, depending on what is in season. In addition to receiving farm fresh produce, some shareholders also received tokens to be used around their local farmers market to purchase SNAP-approved items such as artisan bread, fresh eggs, local honey, homemade pasta and much more. Mrs. Scott described the abundance of fresh food the family received each week. “I need those fresh vegetables. What’s extra, we freeze for winter, the fresh limas and green beans and carrots. We love those fresh peaches, and we can’t freeze the watermelon,” she said. For more information about the Food Bank of Delaware’s programs, visit www.fbd.org. How many meals do you eat a day? Is that seven days a week? Most days, don’t you have a snack, or two? So, if you answers are three, yes, and of course, then you’re not living with food insecurity. Count yourself as fortunate! Without being sarcastic, I try to say: We need help every day. There’s always something for volunteer hands to do, and not just at Thanksgiving or Christmas. Did you know, for example, that one in every five children in Delaware lives in poverty? And poverty exists everywhere, even behind the scenes of wealthy resort communities. How can you help? How do you volunteer? Sign up online at http://www.fbd.volunteerhub.com. Early-morning volunteers are especially needed at the Milford Branch! And we are excited to announce that we have just added Monday and Tuesday evening shifts and a shift every other Saturday at the Milford Branch. The bottom line is we offer opportunities for almost everybody. Did you know, for example, that high school students can earn a Delaware Volunteer Credit toward graduation by donating 90 hours of volunteer service during their high school career? Volunteers, either individuals or organizations, assist by sorting and packing food donations, preparing and packing meals for children, creating meal boxes for families and seniors, helping with clerical tasks and other needed projects. 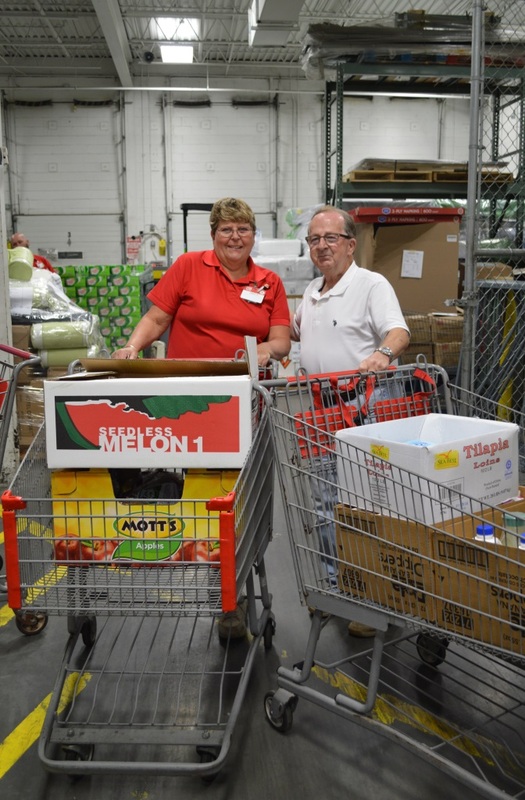 Volunteers are the heart and soul of the Food Bank of Delaware. Last year, we had 19,009 volunteer visits between our Newark and Milford sites. These volunteers donated 51,111 hours, or nearly the equivalent to 25 full-time staff members. Please join us in our mission to eliminate hunger here in Delaware. 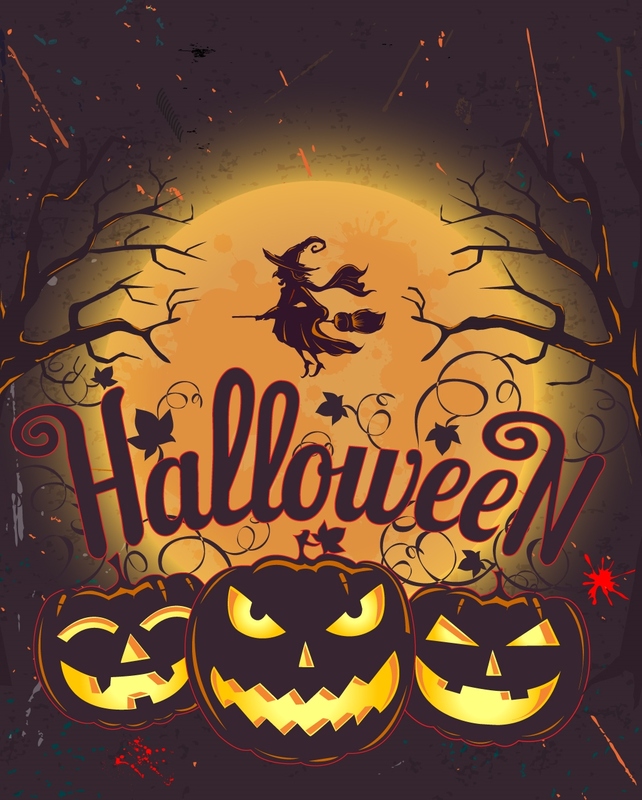 The Food Bank of Delaware is transforming its Newark warehouse into a haunted house for its annual signature event on Saturday, October 24 from 6:30 p.m. to 10:00 p.m. Presented by Iron Hill Brewery and Restaurant, the evening will feature a fall seasonal small plate menu prepared by Iron Hill’s team of chefs and students from The Culinary School at the Food Bank of Delaware. Guests will enjoy pork tenderloin crostini with roasted apple chutney, braised lamb and marsala mushrooms, sweet potato latkes, salmon, beef tenderloin, duck ragout pasta and more. Dessert for the evening will be provided by the UDairy Creamery. Iron Hill’s team of chefs will assist students from The Culinary School with kitchen prep and cooking, organizing food stations and executing plate presentation on the night of the event. A costume contest will take place with prizes being awarded to the top three costumes. For guests who prefer not to come in costume, blue jeans are acceptable at this casual fundraiser. Tickets are just $75/person and include unlimited beer from Iron Hill Brewery and Restaurant, wines, a fall seasonal small plate menu, entertainment from Mike Hines and The Look and a raffle. The Blue Jean Ball is held each year to raise awareness of the acute problem of hunger in Delaware and the important role the food bank plays in combating hunger, as well as its root cause – poverty. By utilizing the warehouse space and the culinary skills of Iron Hill Brewery and Restaurant and students from The Culinary School, the Food Bank of Delaware is able to significantly reduce costs. Last year, close to 90 percent of event proceeds went directly back to the organization’s hunger-relief efforts. Tickets are available for $75/person or $750/table of ten and may be purchased by calling (302) 444-8074 or by visiting www.fbdbluejeanball.org. Last Wednesday, I met a group of enthusiastic DuPonters at Milburn Orchards in Elkton, MD. The outing, organized by Shawn Teaney, a member of DuPont’s Crop Protection team, provided a team-building opportunity for the Crop Protection’s leadership team. When Shawn emailed me a month ago about DuPont’s intention to go to Milburn Orchards for an afternoon of apple picking to benefit the Food Bank of Delaware, I loved the idea! Who doesn’t love apple picking in the fall, especially when the apples are for families served by our network of partners! “I actually drive by Milburn’s every day on my way to work at DuPont’s Stine-Haskell Research Center in Newark, and it seemed a natural fit for Crop Protection Leadership for several reasons; DuPont and the Crop Protection business has long had an association with the Food Bank of Delaware – our previous R&D Director Julia Wheeler was a member of your Board for a time – and we do many team volunteer events at your food distribution center during our United Way campaign and throughout the year,” explained Shawn. Last week the East Coast was inundated with rain storms plus forecasters called for a possible hit from Hurricane Joaquin. 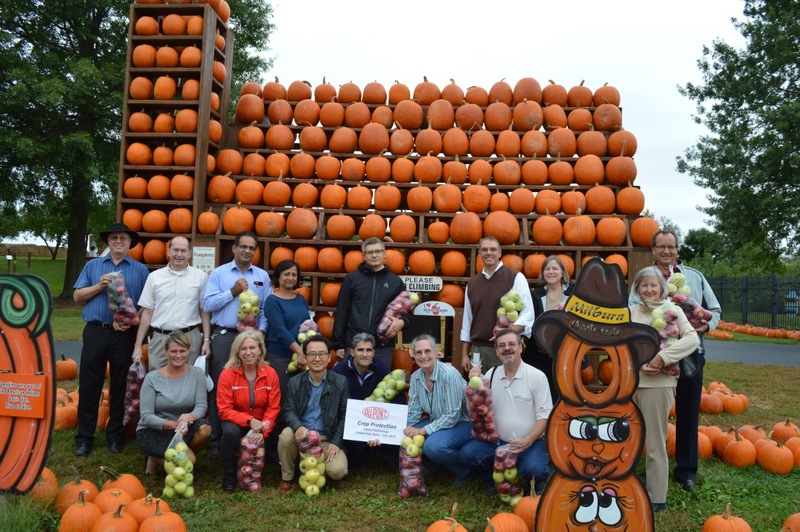 Thankfully, the Dupont team was able to get their apple-picking activity in! The team of 15, many with an agricultural background, greeted this outing with enthusiasm! In total, the group collected 167 pounds of fresh apples! Milburn Orchards also generously sold the apples to the team at cost! Do you have a creative way to help Delawareans in need? We’d love to hear about it! Contact us by emailing foodbank@fbd.org. 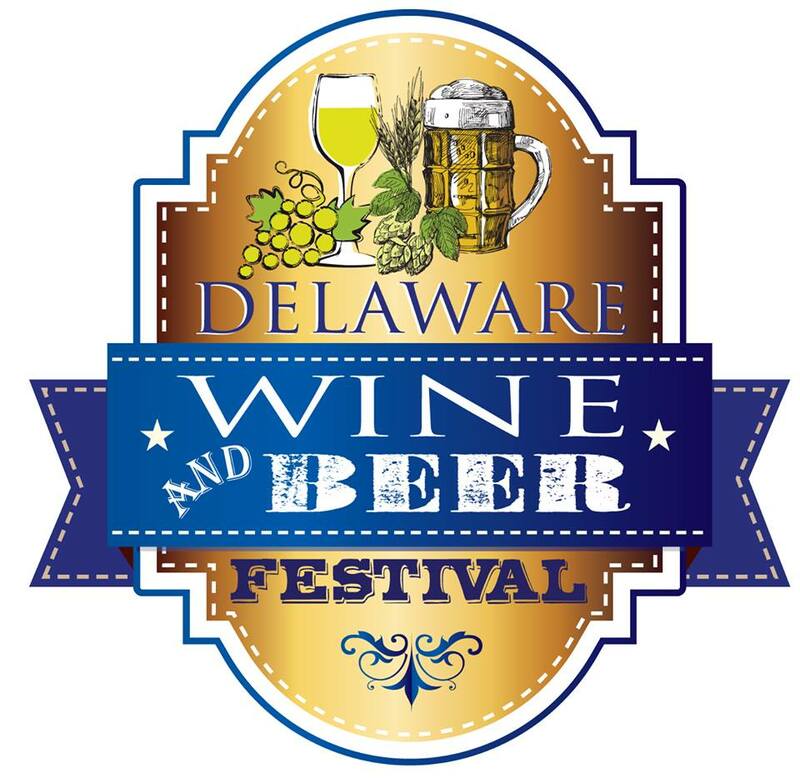 The Food Bank of Delaware is proud to be selected as the beneficiary of the Food Truck Challenge for Charity at this year’s Delaware Wine and Beer Festival set for Saturday, Oct. 17 at the Delaware Agricultural Museum and Village in Dover. In additional to the opportunity to sample nearly 100 varieties of handcrafted beer, wine and spirits, festival-goers will be given one free ballot to vote in the Food Truck Challenge for best entrée, best desert and best appearing set-up. Additional ballots will be sold for $1 each, and 100 percent of the proceeds will benefit the Food Bank of Delaware with branches in Newark and Milford. The Food Bank’s Culinary School in Milford will be a feature of the festival, with students preparing, sampling, and selling foods they have prepared. The Food Bank of Delaware Culinary Schools (one at each branch) have graduated more than 450 students since its inception in 2002. The 14-week program prepares adults for entry level positions in the food service industry, and the program includes 12 weeks of classroom instruction followed by a two-week paid internship that can lead to a job. Tickets for the festival are now on sale at several price points: VIP tickets, $50 per person; general admission, $35 each; designated driver, $10 each; and a Libations weekend package that includes lodging, admission and Sunday brunch for $299 per couple. The festival, owned and managed by Kent County Tourism, also includes live music, craft and artisan vendors, a keg-tossing competition, and more. For more information and tickets, visit www.DelawareWineandBeerFestival.com, or find the festival on Facebook and Pinterest. The Food Bank of Delaware kicked off its annual Thanksgiving For All food and funds drive today. The hunger-relief organization asks for the community’s assistance in collecting food items and monetary donations in order to create 2,500 Thanksgiving meal boxes for families in need. 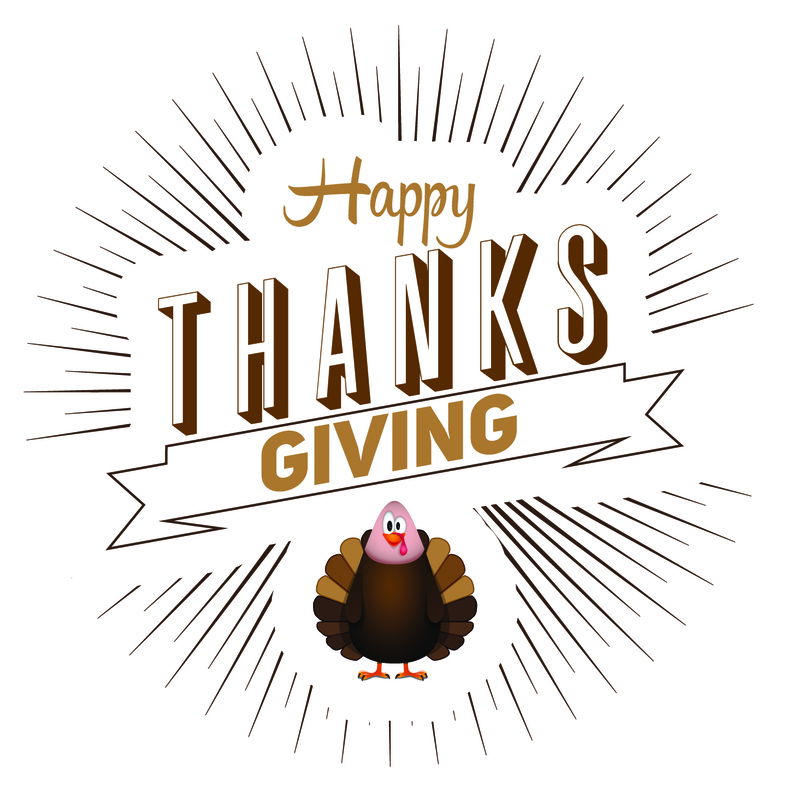 Through the Thanksgiving For All holiday box distribution, eligible 501(c)3 organizations in New Castle and Kent counties will have an opportunity to pick up 25 free meal boxes from the Food Bank of Delaware for families in need. Organizations in Sussex County may sign up for Mountaire Farm’s Thanksgiving for Thousands distribution. Households in need of holiday food assistance should call the Delaware Helpline by dialing 2-1-1 or 1-800-464-4357. To help fill the boxes, the Food Bank is asking for the public’s assistance in making sure that no Delawarean goes without a holiday meal this season. Businesses, schools, faith-based organizations and other community groups are encouraged to organize food drives throughout the holiday season. Food for the Thanksgiving boxes must be received by Friday, November 13. Food received after that time will be distributed to the Food Bank’s network of Hunger-Relief Program Partners. Hours: M-F: 8:30 a.m. – 4:00 p.m.
For more information about hosting a Thanksgiving For All food drive, please visit http://www.fbd.org/thanksgiving-for-all. Organizations and individuals wishing to hold a food drive are asked to fill out the form on the Thanksgiving For All webpage. Organizations wishing to sign up to receive holiday meal boxes should visit http://www.fbd.org/thanksgiving-for-all. 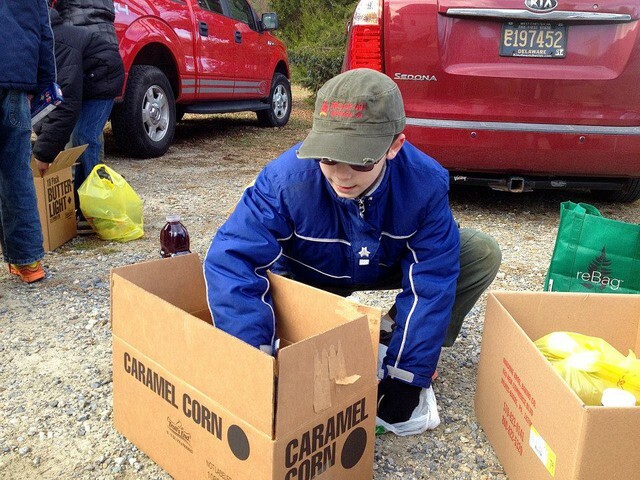 Organizations in Sussex County wishing to learn more about Mountaire Farm’s Thanksgiving for Thousands distribution may visit http://www.mountaire.com/thanksgiving/. Households in need of food assistance may call the Delaware Helpline by dialing 2-1-1 (or 1-800-464-4357). Ed Maynard (right) of Cedars Church of Christ poses with a BJ’s Wholesale Club employee at the Newark store. Cedars picks up from BJ’s stores on a weekly basis and will benefit from BJ’s generous donation. The Food Bank of Delaware has been awarded a $23,500 grant from BJ’s Charitable Foundation to support agency capacity building and provide more meals for the more than 122,000 food insecure Delawareans. After helping to expand capacity in 2014 for more than 400 feeding pantries and programs that resulted in over 10 million more pounds of food being donated, BJ’s Charitable Foundation will invest additional funding this year to further prevent a bottleneck in the supply chain for food distribution to Americans facing hunger. This will be the second agency capacity building grant awarded to the Food Bank of Delaware, which works with local agencies (food pantries, shelters and meal programs) that help distribute groceries and meals to residents who struggle with hunger. Those same local hunger agencies, however, are often limited by a lack of equipment to move donations and provide safe storage for perishable items. Many agencies also encounter limited staff availability and training to support more high-functioning operations. The BJ’s Charitable Foundation grant will help those local agencies safely pick up more donated product from local supporters and distribute more perishable foods to community members in need – a crucial component in the fight to solve hunger. BJ’s Wholesale Clubs has supported the Feeding America nationwide network of food banks since 2011. Each of their 208 clubs has contributed perishable food totaling nearly 35 million pounds, which is the equivalent of 28 million meals. BJ’s Wholesale Club distributed grants to 20 additional Feeding America® food banks to enhance these organizations’ agency capacity building. Each agency capacity grant provided by BJ’s Charitable Foundation was supplied in September, in honor of Hunger Action MonthTM. Throughout Hunger Action Month, the Food Bank of Delaware and the Feeding America nation-wide network of food banks have rallied the country to engage in the fight to end hunger in America.